I recently purchased this lovely vintage striped seersucker on ebay and it arrived in yesterdays post. Its a great weight, not sheer at all and not too puckery. I have a thing for stripes and I loved the colours in this fabric, it felt really light and fresh. 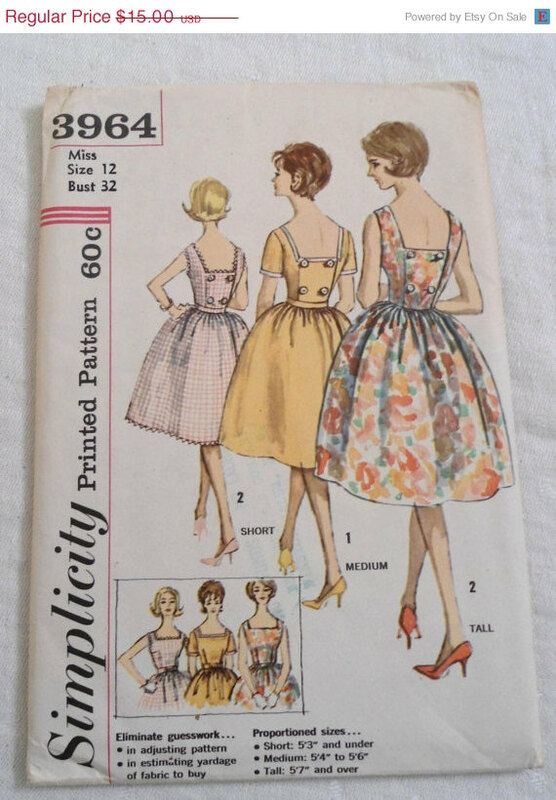 I know I want to sew it up in a pattern with buttons as a feature. I was inspired by this pictured Tracy Reese for Anthropologie dress. 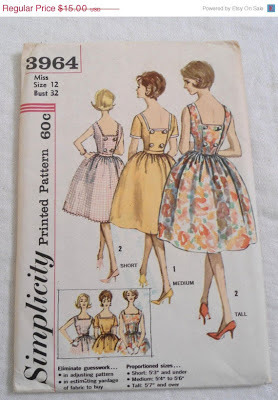 I have narrowed it down to 3 patterns, Megan Nielsen's Darling Ranges Dress or Kelly Skirt or a vintage 60's pattern i recently picked up on Etsy (pic below). What do you guys think? I would also love any suggestions for button, I intially thought I would use a simple white button but maybe I should play up one of the colours in the stripes? Maybe yellow? ?